Every table in the St-Paul Home collection is delivered with a complementary Care Kit. 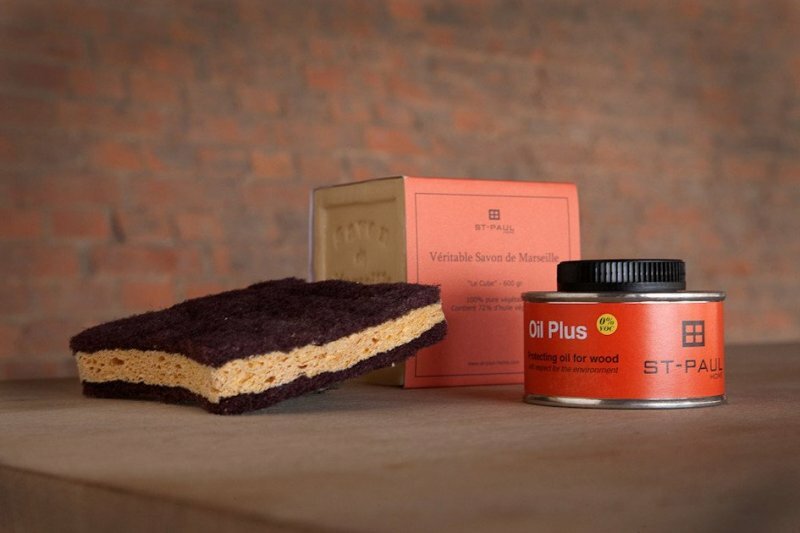 In this maintenance kit you will find a 600gr cube of Original Marseille Soap, a quality sponge to apply the soap, a 100ml can of Oil Plus and a fiber free cloth to apply the oil. Also maintenance instructions are included in the kit.